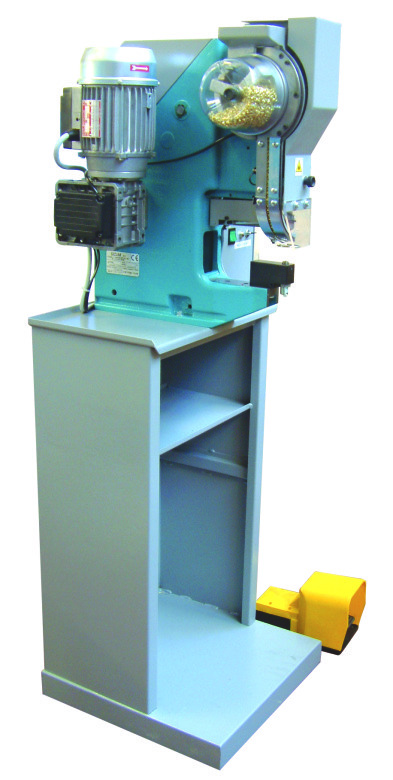 The M1 semi-automatic floorstanding eyeletter is the must have eyeletting machine for anyone doing serious quantities of eyelets. Available in Pneumatic or fully electric versions, the M1 automatically feeds the eyelet from a hopper, then punches and sets the hole in 1 operation. Dies can be quickly and easily changed for different sizes of eyelets. Suitable for eyelets up to 9mm internal hole size. Exact manufacture to your specification.